Doors to the old RCMP firing range offices are now open for fitness classes on the Chilliwack campus at Canada Education Park. Best of all, those classes are free for students. New Building Q has room for at least a dozen fitness participants. New year, new you, new building to make it all happen. 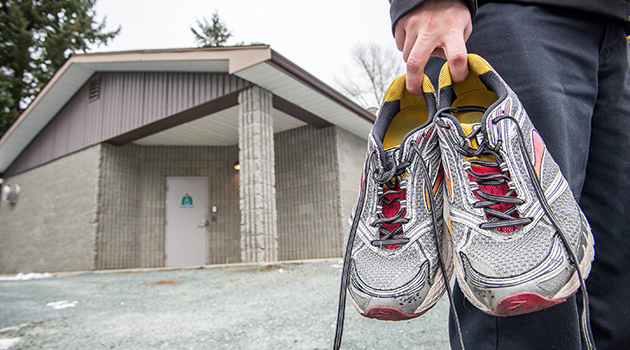 Free fitness classes have started for students on UFV’s Chilliwack and Abbotsford campuses. Staff and faculty are encouraged to join for a reasonable rate. “The idea is to take an active break from studying or working – a chance to get away from that Tim Hortons table and get active,” explains Cheryl Van Nes, program manager for Campus Recreation and Wellness . Classes range from Zumba and Belly Dance to Yoga and More than Core. They’re available Mondays, Tuesdays, and Wednesdays. 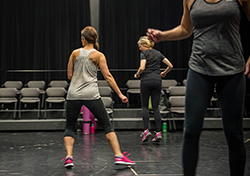 UFV’s black box theatre (A2106) is also hosting fitness classes on Chilliwack’s CEP campus. 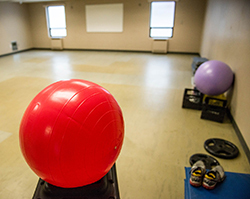 Chilliwack’s Functional Fitness class is the first activity held in new Building Q, the office space adjacent to the former RCMP firing range near UFV’s Agriculture Centre of Excellence. 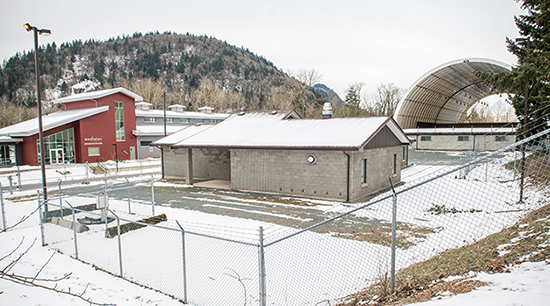 UFV has been working with a consulting firm to make the most of the firing range facilities, which could result in a Campus Recreation Advisory Committee. Classes run until April. For class times and more information, click here. UFV’s new Building Q is pictured at centre, near the Agriculture Centre of Excellence (left), and the former firing range (now Building R, at the right).